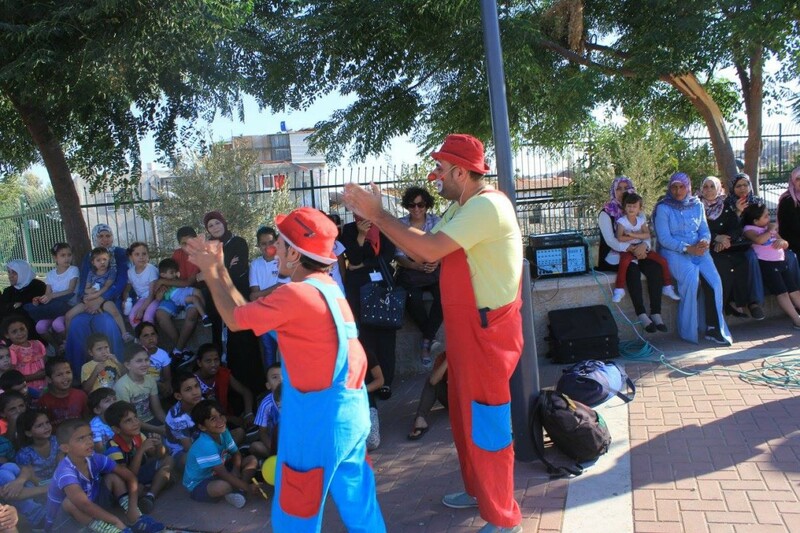 Burj Al-Luqluq Social Center Society has conducted a festival for children within the educational project ‘SAD’ which implemented in the collaboration with Ard Al-Insan Palestinian Benvolent Association. The event was titled as ‘ Back to School Festival’ and targeted more than 80 student within the project and around 25 child from Old City Nehiborhood. Moreover, activities within the event contained on five corners such as sketch plays, handmade corner , art corner and Simsim and Za’tar group show. In the first day at the art corner, paint on wall for children was drawn and children colored it with different beautiful colors which was for energy and pressure discharges. Later on in the second day, the children participated in handmade corner and made products from ice cream lutes and cartoon such as handmade kites. The third corner contained tellematch activities which contributed in competition creation between the students within challenges. These activities were characterized by the participation of more than 18 children’s parents which made the event more entertaining and collaborative.